Boulevard Brewing Company, founded in 1989 in Kansas City, Missouri, is the largest specialty craft brewery in the Midwest. You can find their beers in 41 states, 11 countries, and counting. In fact, it’s the 12th-largest craft brewery in the United States, making it all the crazier that I had never tried one of their beers before. In 2014, Boulevard was purchased by Duvel Moortgat, which owns two other U.S.-based breweries: Brewery Ommegang and Firestone Walker. 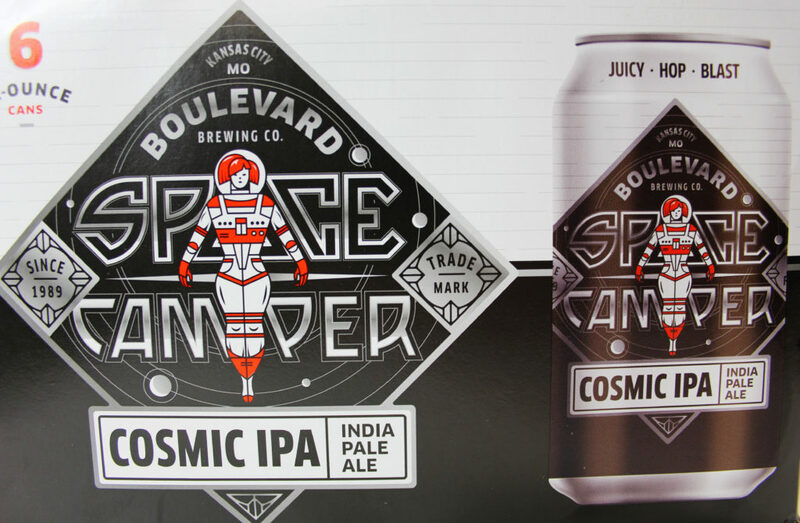 Boulevard is most well-known for their Unfiltered Wheat Beer, but I’m contesting that Space Camper Cosmic IPA will give the wheat beer a run for its money. Boulevard’s desire for their newest year-round beer is to create an India pale ale (IPA) with only a minimal amount of the bitterness that is characteristic of many IPAs. 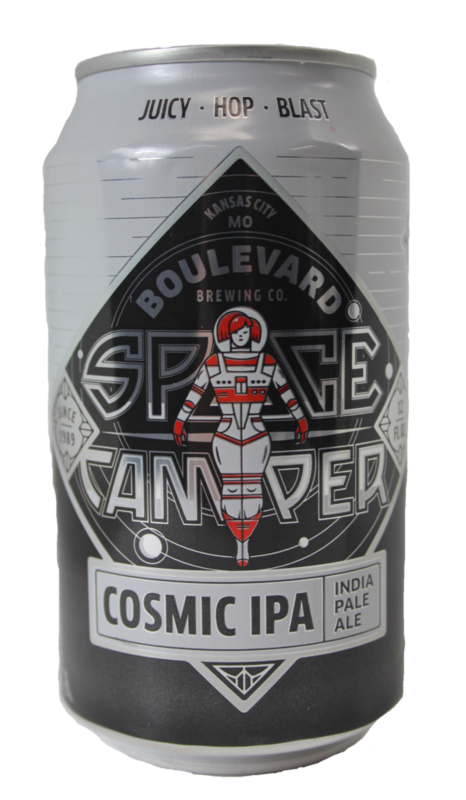 They call it an “exhilarating initiation into an alternate universe of IPAs.” Additionally, Boulevard has even created an online video game to pair with the beer reminiscent of Space Invaders. Admittedly, I spent about 45 minutes playing this game at work, you know, for research purposes. This beer is described as having flavors of fresh citrus, stone fruit, and watermelon. I’m usually more of a stout guy, and when I do drink IPAs, I prefer them to be as hoppy and bitter as possible. So, I was a bit hesitant after reading the description of this beer and worried it would taste too fruity, more like a sour fruit beer than an IPA. Myself, and my taste buds, are happy to report that this is a delightfully hoppy IPA that features subtle flavors rather than being fruit-forward. Instead, the fruit complements the hoppy-ness rather than overpowers it. But let’s backtrack a moment. First off, I love the design of the can. 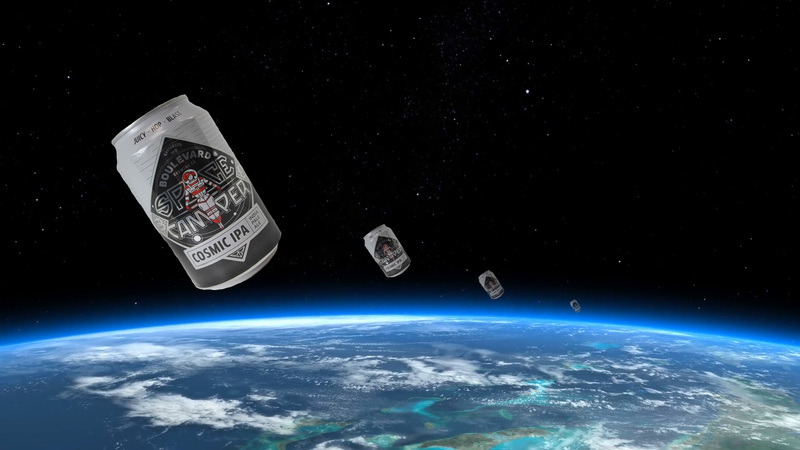 Its space theme is eye-catching, as is the title itself—a Cosmic IPA. The importance of having an eye-catching can or bottle is key when it’s so easy to be drowned in beer choices at supermarkets or specialty stores like Total Wine. It’s winter in North Carolina right now, so a warm night on the patio is out of the question, but I still step outside into the elements to try this beer with a cigar. 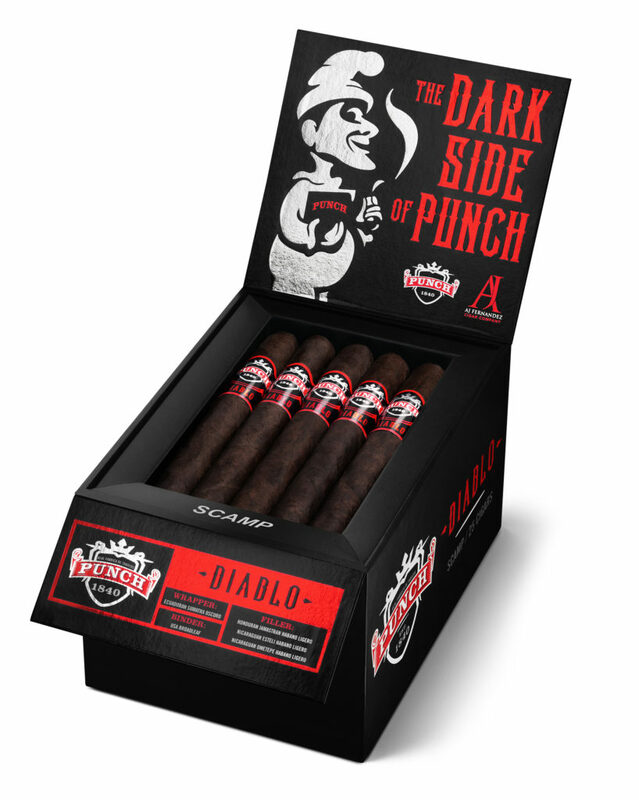 I chose the Punch Diablo as I wanted something fuller and stronger to complement the hoppy and crisp flavors of the IPA. The wood, earth, and leather notes of this powerful smoke are an excellent contrast to the “cosmic” flavors of the Space Camper. When I took my first sip, I immediately thought, “Wow, that’s cosmic ….” Not really, but I can see why they called it a Cosmic IPA. It’s different than any other IPA I’ve tasted. Dare I say, it’s out of this world? Space Camper is an excellent gateway IPA for anyone looking to dip their toe into the bitter world of IPAs. We highly recommend this beer and can’t wait to try more from Boulevard Brewing Company. For more info, visit boulevard.com. To play the Space Camper game, click here. For more, check out when we went to Beer Camp!